St. Patrick’s Day is right around the corner, so why not have some fun in your homeschool activities? This one is edible, just like the recent Oreo Phases of the Moon homeschool activity. I’m usually a non-sugar cereal girl, like Wheat Chex or Corn Chex. But when I was a girl, I loved Lucky Charms. Lucky Charms is still a temptation for me. In fact, I had to put the box away when I was doing this activity. St Patricks Day activities means shamrocks & leprechauns. Whether you believe the legends, it’s still fun to do some school activities. Here’s one of my favorites. You’ll need a box of Lucky Charms or a generic brand of that cereal. Also, gather a measuring cup, paper plate, crayons and graph. Measure the same amount of Lucky Charms for each student. If you are working with fractions, I recommend using 1/2, 2/3, or 3/4 cup – nothing more than 1 cup of cereal. Pour the Lucky Charms on a paper plate so it is easier to find the shapes. You’ll have to decide if the students should include broken pieces. Pin ItPick out the shapes in your cereal. Place them above the shape on the bar graph. For some reason, Lucky Charms has some extra white marshmallow shapes. We used the white & yellow ones for stars since they look like a shooting star. You may find actual stars, but we didn’t. You might have different results with a generic brand of Lucky Charms. Count the number of each shape on your bar graph. Write that number below each bar. We used a crayon that matched the color of the marshmallow. Pin ItColor each bar to indicate the number of shapes you found. Use the same color as the marshmallow, if you like. Use your Lucky Charms graph to answer questions on the St Patrick’s Day Activity Guide. 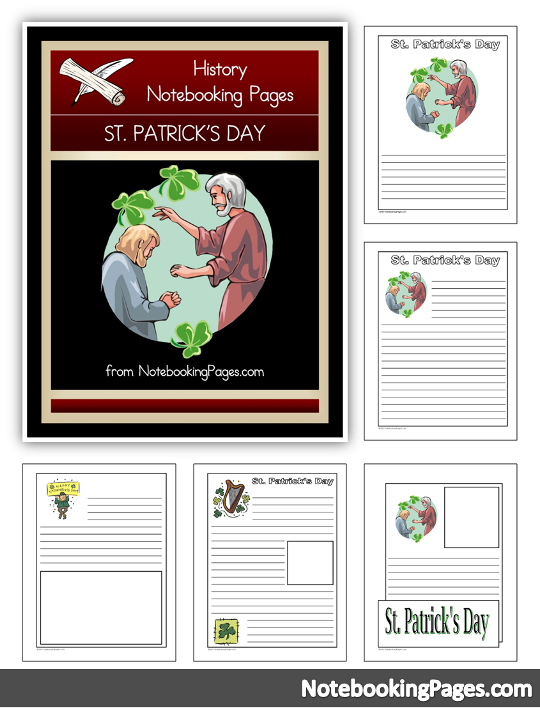 Our guide includes St. Patrick’s Day Printables, as well as science, history, writing, geography, art & cooking activities. You’ll also find excellent videos (3-5min) to watch as a family. To get your free copy of the guide, enter you email below and we will email the guide to you.